Vintage: Very dry year with high temperatures and great fluctuations in temperature between night and day. Optimal harvest due to scarceness of rain. Vineyard: The grapes come from five vineyards, one of which was planted in 1925. Four vineyards of Monastrell located in the Sierra de Salinas, Umbria and La Sima. 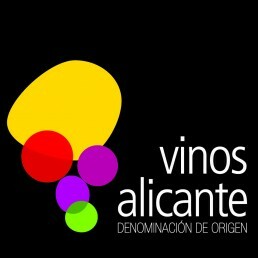 The vineyard of Cabernet Sauvignon is in the Sierra de Salinas and was planted in 1981. Altitude 600-750 metres above sea level. Fossilised limy soils with an upper layer of limstones. Planted in low system. Production: Use of native yeasts. Only the oldest vineyards are used for the creation of Triga. The vines are carefully monitored throughout all their stages and processes – pruning, blossoming, fructification, ripening and harvest and only the best parcels are selected. These vineyards have very low production. Each parcel is harvested, produced and aged separately. The best bunches are selected in the vineyard and later sorted on the selection table at the winery. After maceration in vats of 5,000kg they pass to the vertical press. Jeb Dunnuck: 95 points Triga 2014. R. Parker Wine Advocate: 92 points 2013 - 2012 - 2011. Guía Peñín 2017: Triga Magnum 2013 95 points.